RECALL THOSE TELEVISED “ON AIR MIRACLE SHOWS”? Not saying the “blessing” I’m going to explain was anything like that, but it was on television, provided an emotional/spiritual encouragement, was desperately needed, and this (what I sincerely consider a) “blessing” was delivered precisely when I needed bolstering the most. The Pannus acknowledgement was disappointing for sure, but again, we are extremely fortunate there are eye drops and other precautionary steps that can be taken to delay the effects. She already knows I will be her seeing eye human if necessary for as long as I have eyesight – she is a sweetheart and accepts the drops without difficulty. NO MORE WASTE OF THAT EXPENSIVE MEDICATION! No biggie, we’ll roll with those punches. Then there were a couple of other little inconvenient things that happened which made pursuing a normal routine impossible. I think writing that check to the County of Mariposa for my property taxes was a clarifying moment, I immediately recalled how my requests for public information were completely ignored – multiple times. OK, think I know why. It’s called evidence. Who knows, maybe those records will never be seen again….or the truly pertinent information, “if” sanitized for uncomplimentary content by wrongdoers, will just vanish? Why 13 years of such documents missing from the county website, and those that do exist cannot be accessed? Again, think I know why…. Same theory, it’s called damaging evidence against a county that completely ignored the well-known Merced River water restrictions in Merced Irrigation District’s Water License 11395. Yeah, just a simple little lie to smooth things out a bit, after all, considering the massive amount of lies, false information and disinformation contained in those annexation applications, investigations, and subsequent approvals, you would think one little polite fabrication of the truth to placate a troublesome pain in the asset citizen asking too many questions would be easily doable, yeah? into a SUBSIDIZED GROUNDWATER SUBSTITUTION FACILITY FOR LAND DEVELOPERS HOLDING TUOLUMNE and MARIPOSA COUNTY LAFCO ANNEXED PROPERTIES OUTSIDE THE LEGAL SERVICE OF WL11395 with the LEGAL 99% OF MR WECs of the subdivision PAYING FOR THIS WRONGFUL ACQUISITION OF OUR TREATMENT PLANT FOR LAFCO/KAMPA PURPOSES. VIEWERS….think about it…..KAMPA and KOMPANY were almost successful in completely replacing (swapping out) the 41 YEAR OLD OFFICIAL SWRCB MAP ON FILE AT THE STATE WATER BOARD UP IN SACRAMENTO with his DIGITAL FAKE POU MAP and assistance from various DEMOCRAT, PROGRESSIVE, SOCIALIST, LEFTIST OPERATIVES! government document and then digitally swapping it for the authentic one on file within the SWRCB? That’s not TRUTH, HONOR, and JUSTICE (TRUE AMERICAN values most of us want, demand, and work to achieve! That sort of “official POU Map substitution” through multiple State Water Departments could not possibly be set up without extensive support and cooperation WITHIN THAT STATE DEPARTMENT and other official entities! That’s why someone like the Califusion AG can tell complaining citizens to consult a private lawyer to fight public agency corruption! CHECK OUT THE SOURCE: CANADA FREE PRESS, notice their motto? “Because without America, there is no free world”. Beautifully said, aye? Please read the below article (and the linked articles) and aske yourself, is this TRUTH, HONOR and JUSTICE? KAMPA & KOMPANY now want more money from already victimized MR WECS while continuing their criminal conspiracy to further expand a subsidized special benefit groundwater substitution service for LAFCO ANNEXATIONS Kampa himself set up 20 years earlier? Oh Please, where does the madness stop? Seems to me there should be no further discussions about rate and fee increases on MR WECs (Merced River Water Entitled Customers of the subdivision) until there is a guarantee (written in concrete aka official policy) by the LDPCSD that this wrongful expansion of a subsidized special benefit water service paid for by thousands of subdivision owners STOPS IMMEDIATELY! HE PREVIOUSLY WORKED FOR, and OBVIOUSLY KNEW ABOUT, FOR OVER 20 YEARS? WHAT HAS BEEN HAPPENING TO THIS STATE FOR DECADES? I am still in shock (especially as a senior citizen who has already expended most of his “physical hard work productivity” in “LAKE DON FRAUDO”) that I would even consider abandoning a lifetime of California citizenship to begin a second attempt at creating a “final home” in some other state. Exciting, but scary. Wow. Where did the years go? Well, almost 30 of them right here in these beautiful Oak and boulder studded western foothills of the Sierra Nevada mountains with all the corresponding back breaking work of planting trees and bushes, landscaping excavated rock, building sheds, and a house that I had hoped would be my last. And all within the supposedly PAID FOR WITH ANNUAL ASSESSMENTS protected residential subdivision of a Property Owners Association with CC&Rs (Covenants, Codes, Restrictions) – a Common Interest Development regulated by the California Civil Code and theoretically enforced through criminal and civil proceedings in State Superior Courts. (That is if, when your POA fails to protect your interests, you can risk losing ½ a million dollars in court for only asking the County of Mariposa and State of California to simply obey existing law and regulations regarding PUBLIC SAFETY FIRE SAFE ROADWAY CONSTRUCTION REGULATIONS PASSED 12 YEARS EARLIER WHICH APPLIED TO A CALIFORNIA SUBDIVISION FINAL MAP ACT DEVELOPED PROJECT also DESIGNATED A HIGH FIRE SEVERITY ZONE like Jim and Marion Dean did. MY DAD WILL ALWAYS BE WITH ME REGARDLESS. Anyway, golfing…. I remember as a child going out with Dad and watching as he practiced hitting those little white balls so far away with that familiar “clack” of the club face against the ball at moment of impact. I especially enjoyed finding the ones that didn’t land in the clearing where intended but in heavy grass or weeds – what a great job! It was like looking for Easter eggs anytime of the year! White little dimpled Easter Eggs (many with various “smiles” cut into their tough covers by the “irons”) that my brother and I would scurry about in a rush to find and prove who could find and collect more of the illusive spheres. Doesn’t matter that my brother and I had fun helping Dad practice his game. Perhaps it is all just about how one looks at something, but when you have a group like the DPSL dedicated to always finding something bad in normal every day activities, there will always be problems – because they are intentionally created to distract from what they are truly doing quietly behind the scene…..destroying this country bit by bit, piece by piece……all under the lie that it is best for “THE PEOPLE”. DPSL wants to change American Government this is clear. Why? They say it is unfair to many people without means – yet they support open borders so that population of “have not” is constantly growing while LEGAL STAKEHOLDER AMERICAN CITIZENS (FROM COUNTRIES ALL OVER THE WORLD WHO MAKE UP OUR BEAUTIFULLY DIVERSE AND LEGAL CITIZENSHIP) ARE COMPLETELY IGNORED AND TAXED INTO OBLIVION! How can elected officials ethically represent non citizens over that of American citizens? Does that make any sense to you at all? I’ve had a rough couple of weeks of “just thinking” actually. A little bit of future escape planning and preparation but mostly a lot of frustration, worry, and yes, anger. Suffice it to say for the first time in almost 30 years of hard work developing my property and building the house, and even though now considered a senior citizen with my capability for continued hard physical work fading, I have seriously considered the possibility of trading my lifetime of California citizenship and the last 30 years of work for the frightening prospect of locating another home state and attempting to start again to create my second attempt at a “final home”. And to think……swearing,….. while on your knees …preparing,….. to pray to GOD? …..tsk, tsk, tsk……Bad Bad Bad! Christian! Where’s that auto-whip design I came up with? Enough about that other than to say, I figure as blessed as I have been my entire life, the few moments it takes every night for reflection and thanks, the Lord’s Prayer and some requests for blessings for others, is quite appropriate and comforting. Unfortunately, likely due to the many hours of online land research and resulting sleepless nights filled with crazy dreams about moving or the results of such a move, Tuesday everything just came crashing down. Rather like a closet with a top shelf where you keep cramming boxes, and various items just to clean up the house and get those items out of sight, I have been stuffing thoughts and emotions on a shelf somewhere in my mind that was also overcrowded, yet each day I continued on stuffing things in an area with less and less available space. Finally getting to the point where you must very slowly open the door and quickly insert the newest “stored item” and close the door to hold it in position. Tuesday, a door (there are likely many such “doors”) was opened to that “mind closet” where so many things have been stored since 2014 when KAMPA & KOMPANY TOOK OVER AND BEGAN THEIR RECONFIGURATION OF OUR SURFACE WATER TREATMENT PLANT FOR KAMPA’s LAFCO ANNEXATIONS (he set up 20 years earlier), and many of their wrongful activities seemed to just race by one after another, all the lies, deceit, excuses, fake maps, etc, all crashing into the undeniable conclusion this was their Califusion, and nothing could stop Kampa and Kompany because he had spent the last twenty years cultivating influential relationships in the state, like with the California Special Districts Association and it’s members, state legislators, all of it….he was a professional manager and was going to continue……all crashing down to the realization this was no longer my home, the LDPCSD was no longer a public agency, and there was no Truth, Honor or Justice in what they were doing with public funds for private interest and no one cared. Liz was obviously concerned so I patted her saying “it will be ok” and collapsed in my recliner in front of the television, turned it on, telling her “it will be exciting….who knows, maybe even better”……and then there was this guy…. CARL DIMAIO, being interviewed on OAN……ONE AMERICA NEWS, and what he said “inspired me” to maybe resist a bit more while simultaneously exploring alternatives. Heck, the 2020 election is right around the corner and might clarify much of the indecision, but regardless, you can’t have a plan A without a Plan B, or C, or D, or…..
Psst….why did I say this information came at the perfect time? Know how that auto-spell stuff fills in the search parameters with past search information? Background: when I purchased my Lake Don Pedro Owners Association property in 1990 I ordered every USGS map I could locate to better research and prepare for my new “final home” environment. Over one hundred dollars in beautiful maps with about every feature or attribute you could imagine delineated for review. Tuesday, while in the recliner depressed and watching that OAN interview with Carl Dimaio, he said Californians should not leave the state but stay and fight to reclaim what is theirs and that REFORMCALIFORNIA.ORG was formed for that very purpose. Going to fight what Becerra did with changing the Gas Tax Initiative to intentionally confuse voters (Classic DPSL) so it would not pass, even going to fight the proposal on a state tax on all water – imagine that TAX with the rate and fee hikes KAMPA & KOMPANY are planning for your right now! Funny, 30 years building the California Dream and people like Pete Kampa make it UN-AFFORDABLE when you’re old and preparing to enjoy your past work. Know how that auto-spell stuff fills in the search with past searches? As I begin typing the website name (REFORMCALIFORNIA.org)…. First the letter “R”, what do I see displayed? Rex Specs, Anderson’s well drilling, Nevada open land with mineral rights, open land Arizona with mineral rights, ….”RE” Oregon open land no hoa poa, bobcat residential backhoe, open nevada acreage, “REF” refrigerators, refinance rates, reform definition,…..all the way up to USGS and state maps. Yup! I had already placed my order for $50 worth maps for other states. Who knows, maybe that is another “blessing in disguise”? Carl DeMaio, Chairman of Reform California, blasted a proposal cooked up by Gov. Gavin Newsom to impose a tax on water. The so-called “Water Tax” would be a new tax imposed on every water bill in California and would be added on top of the actual cost of water consumed by each Californian. California already has some of the highest water rates in the nation! 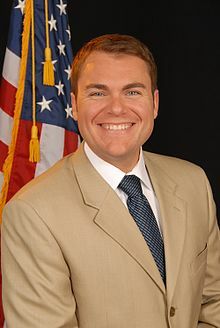 Join Carl DeMaio’s campaign to Stop the Water Tax. Sign this petition and share it with your friends. Reform California is holding state and local government accountable by organizing and supporting campaigns for citizen ballot initiatives and reform-minded candidates. We are the resistance – join us and fight!